New Balance prides itself in putting out performance footwear with a focus on comfort. The Big N always has a certain look to its shoe, one that you can pick up from far away, and the 1600 model stand out amongst the rest. The multi-paneled suede upper goes with a gradient grey effect that gets a punch from sky and navy blue toe and heel caps respectively. The shoes impressive looks get coupled with an advanced comfort bed thanks to the ABZORB cushioning unit that provides you with good looks and performance to boot. 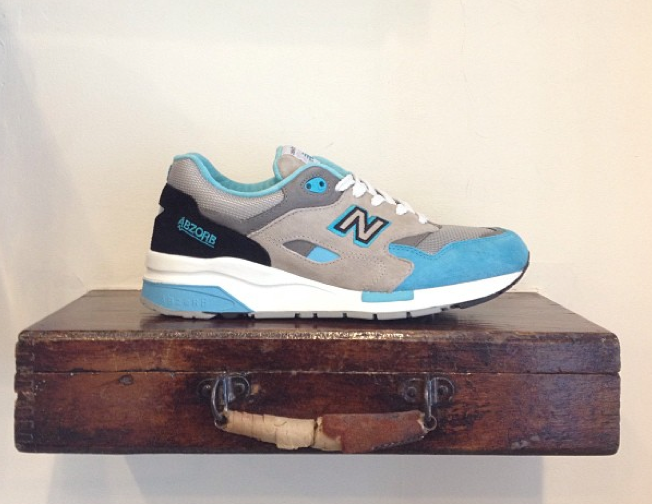 You can grab them now at select New Balance retailers like St. Alfred.